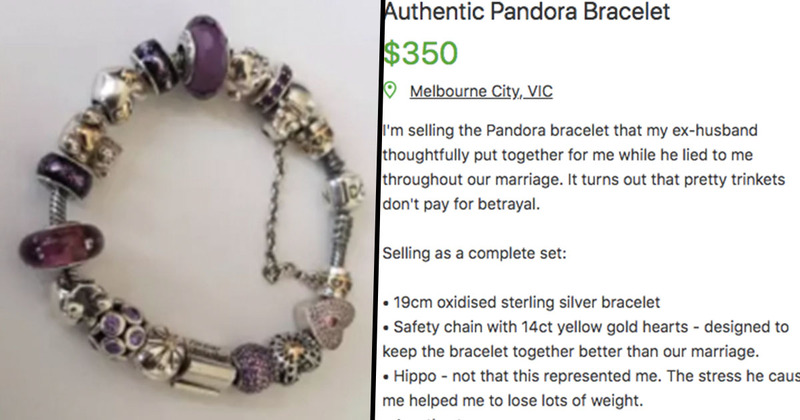 A woman in Melbourne is selling a bracelet, given to her by her ex-husband, and using the advert listing to leave some pretty scathing comments about him. 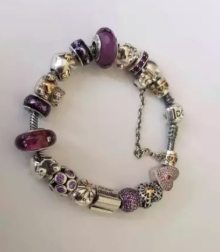 The unnamed woman posted the Pandora charm bracelet for sale on Gumtree, at a price of $350 AUD and will accept PayPal or cash because, as she says, ‘tears of my enemy is not a legitimate payment type’. It turns out there are quite a few charms on the bracelet, and rather than representing something positive as they usually do, the seller has nothing but negative sentiment towards it. And who can blame her? • Hippo – not that this represented me. The stress he caused me helped me to lose lots of weight. • Bride & groom dancing – not that we ever danced. He hated dancing but I loved it. Oh and god forbid some guy approached me on the dance floor. The one time I didn’t move a guy on quickly enough, a scotch glass came hurtling through the air at me to let me know of my ex’s displeasure. • Forever together – apparently not. 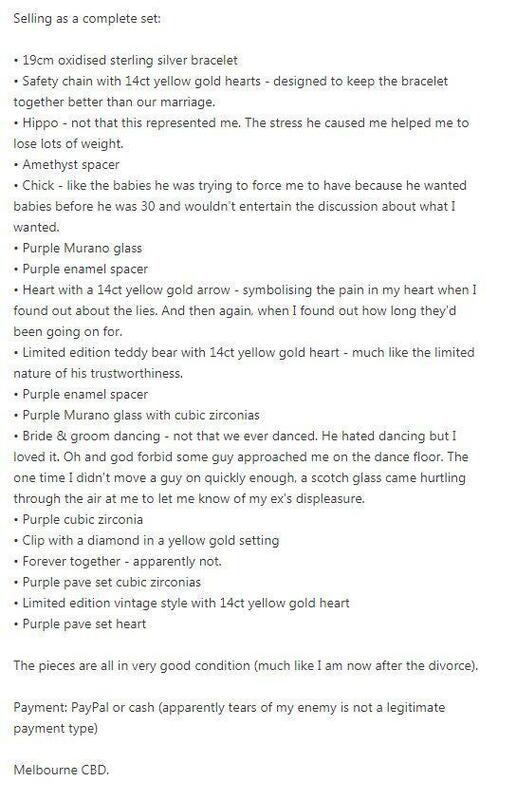 The pieces are all in very good condition (much like I am now after the divorce).